Internationally recognized as one of the foremost Italian pianists of his generation, Salvatore Moltisanti has built an impressive career playing engagements throughout the world. 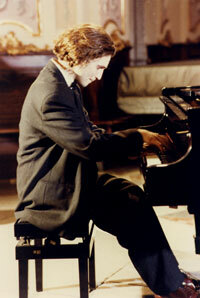 John Von Rhein of the Chicago Tribune writes: "...intelligently planned, beautifully executed recital by the gifted young Italian pianist Salvatore Moltisanti ...pianistically and musically, Moltisanti has everything: crystalline articulation... feverish intensity ... mystical stasis ... a keyboard talent to be reckoned with." Milanese journalist Daniele Rubboli writes: " ...thanks to his classical European training both in music and in Latin and Greek literature, combined with his American University studies, Mr. Moltisanti has become a well qualified interpreter of the contemporary piano literature always in need of intelligent and honest performers ... listening to Moltisanti's playing immediately one experiences an illuminating purity of musical ideas translated in a crystalline and transparent performing language ... a clarity of sounds which seem chiseled from stone ... contemporary technology and civilization have not killed poetry, we should be aware of the pulsating culture around us which belongs to us much more than the Liszt, Chopin and Rubinstein etudes ... all the better if we are led into this discovery by a pianist of such faith and technical expertise as Salvatore Moltisanti." Harris Goldsmith, hailed Mr. Moltisanti's New York Carnegie Weill Hall Recital debut, as "... an exhilarating evening... indeed one of the foremost Italian pianists of his generation... from the very considerable evidence of his unusual and challenging program, he is in every way a superior artist ... Cimarosa's spirited essays are well worth investigating and all the more so when polished with the lapidarian finesse that Michelangeli brought to Galuppi, Alicia de Larrocha to Soler and now, Moltisanti to Cimarosa... articulation was elegant; ornaments were sharply, but playfully etched; and there was an almost champagne-like effervescence to Moltisanti's brightly hued sonority... Moltisanti's clarity of musical gesture was equaled at all times by his control of timing, knowledge of how to keep disparate musical events autonomous and dedication to the spirit of what he was communicating. I particularly liked his Messiaen because (like Peter Serkin's memorable interpretations), it was self-effacing and more concerned with architecture than with the usual flamboyant technicolor pianistic display. This was, all told, an exhilarating evening, and I trust that Salvatore Moltisanti will be returning soon and often." Peter Burwasser of Fanfare Magazine writes: "... Scriabine's great pile of smoldering embers is gathered together with impressive authority by Moltisanti ... for those seeking a refreshing and intriguing recital by an impressive new talent, this CD is warmly endorsed." America Oggi Magazine declares: "mystic, traditional and dramatic, Mr.Moltisanti has all the qualities to be on the path of the great Pollini." Yuji Numata on the occasion of the Tokyo Opera City Recital Hall Duo performance with pianist Chie Sato Roden, writes: "... in one word, this performance was the most fullfilling experience. Here the strength of these two pianists, to put it more precisely, Moltisanti's brilliant high sound and Roden sturdy sound balance, supported their excellent performance." Kyoko Michishita on the same occasion writes: ...the performance was just brilliant ... made the listener realize all the possibilities of piano playing ... the superb performance by these two pianists was simply unforgettable. 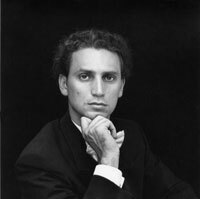 Recipient of the Italian "Golden Laooconte Award" for career achievements, Dr. Moltisanti has frequently served as a Jury member of International Piano Competitions and conducted Master Classes throughout Europe, the former Soviet Union, China and the USA. 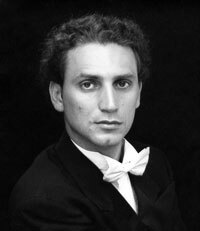 He himself has been a successful competition performer winning First Prize in various International Competitions including the Bela Bartok International Piano Competition (USA), judged by Gyorgy Sandor (Bartòk protegè), Tullio Serafin International Award (Italy), International Etruria Award 1990 (Italy), among other First Prizes. 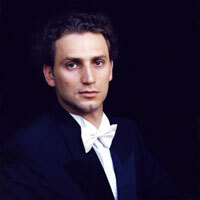 Upon his graduation from Santa Cecilia Conservatory of Music in Rome, where he studied with Carla Giudici, Mr. Moltisanti was the recipient of the prestigious Berti Fellowship for two consecutive years at the North Carolina School of the Arts, University of North Carolina; there he received his Master of Music Degree while studying with Eric Larsen. 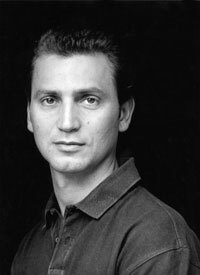 Among his distinguished teachers are Nikita Magaloff at the Conservatoire de Musique in Geneva and Victor Bunin at the Moscow Conservatory. Dr. Moltisanti was awarded his Doctor of Music Degree from the University of Bologna (Italy). On the occasion of the Quincentennial of the Discovery of America, Dr. Moltisanti was appointed Artistic Director of the Chistopher Columbus Festival 1492-1992. 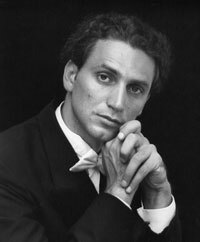 He serves currently as the Artistic Director of the IBLA Grand Prize International Piano Competition, the Baroque Music International Competition as well as the "Bellini" International Voice Competition and the European International Competition for Composers. Dr. Moltisanti has recorded for Zuma Records Inc., Athena Records Inc. in New York City and the catalogue includes "Halt" (1994) and "Vox Balaenae" (1995) including music by Cimarosa, Napoli, Scriabine, Messiaen, Crumb. 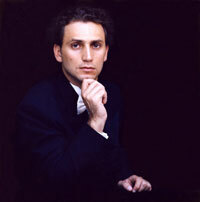 Former faculty member at the Department of Music and Performing Professions of New York University and at the New World School of the Arts, University of Florida, Miami, Dr. Moltisanti is currently playing concerts, presenting master classes, seminars and lectures for prestigious Universities and Conservatories in the USA, Europe, Russia and Japan. © 2005 IBLA Foundation. ALL RIGHTS RESERVED.